HomeParadise BlogDental ServicesHow Do I Get My Child To Brush & Floss? How Do I Get My Child To Brush & Floss? Getting children to brush and floss daily can be a nightmare. When you’re in a rush in the morning, the last thing you want to do is deal with the hassle of getting your child to brush their teeth. In order to get them to learn good dental hygiene, use these fun brushing and flossing tips! Young children tend to look up to their parents. If they see you brushing and flossing every day, they’ll understand that it’s important and follow your good habits. Make it a fun activity to do together before bed every night. Children often get excited brush their teeth if they have a toothbrush in their favorite color or with their favorite cartoon character on it. Check out ToothTunes; these are toothbrushes with fun designs that play kid’s favorite songs for two minutes to promote them to brush until the song is over! Let them pick out their own toothbrush at the store in order to get them excited and make them feel special. Fun, colorful suction cup toothbrush holders can encourage children to use their toothbrush. Not a fan of these? Try a fun travel toothbrush cover designed with your child’s favorite cartoon character or superhero! Many popular toothpaste brands also create fun flavors for kids. 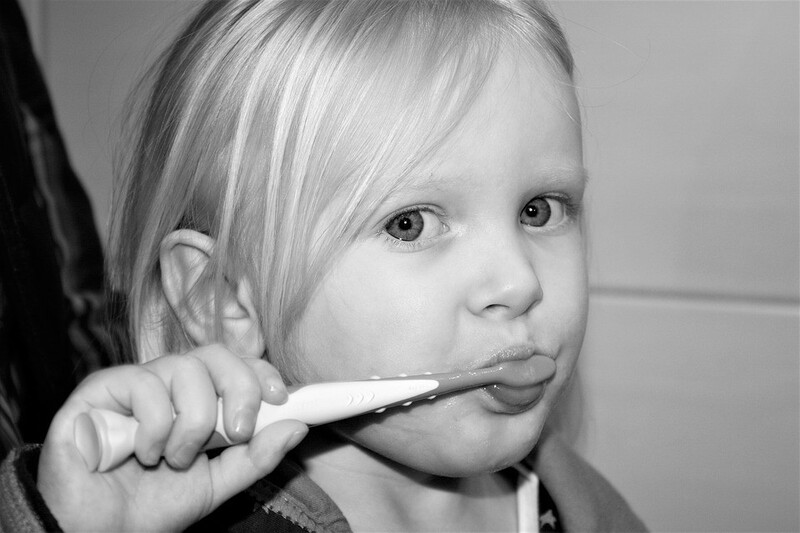 Try a strawberry, watermelon, or bubblegum flavor to get your child excited to brush his or her teeth! Try glow-in-the-dark floss sticks with easy grip handles for fun flossing, or flavored floss to get kids excited! These are chew-able tablets that temporarily change the color of plaque to easily see it. This teaches children to brush their teeth until the plaque is gone. Children also love seeing their teeth and tongue turn funny colors. Make it a fun activity before bedtime!